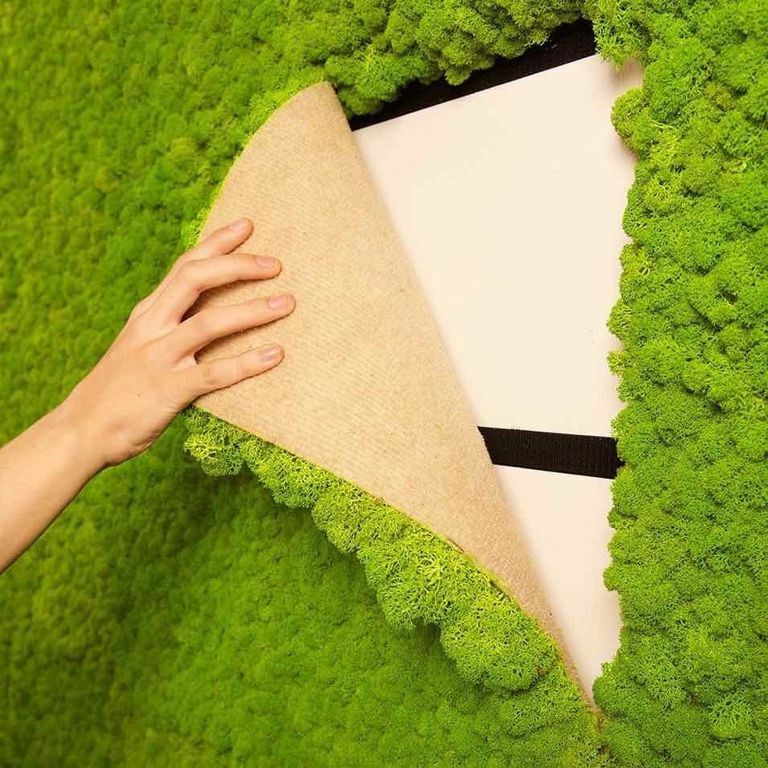 Each living wall moss tile is easy to install, flame-retardant, sound-absorbing, ﻿and﻿ maintenance-free. Yes, it sounds too good to be true, but it isn't! Talk about a statement wall. Bringing the outdoors in is a surefire way to liven up a home instantly. For some, doing so means stocking up on succulent pillows that defy logic, for others it means purchasing houseplants you barely have to water. 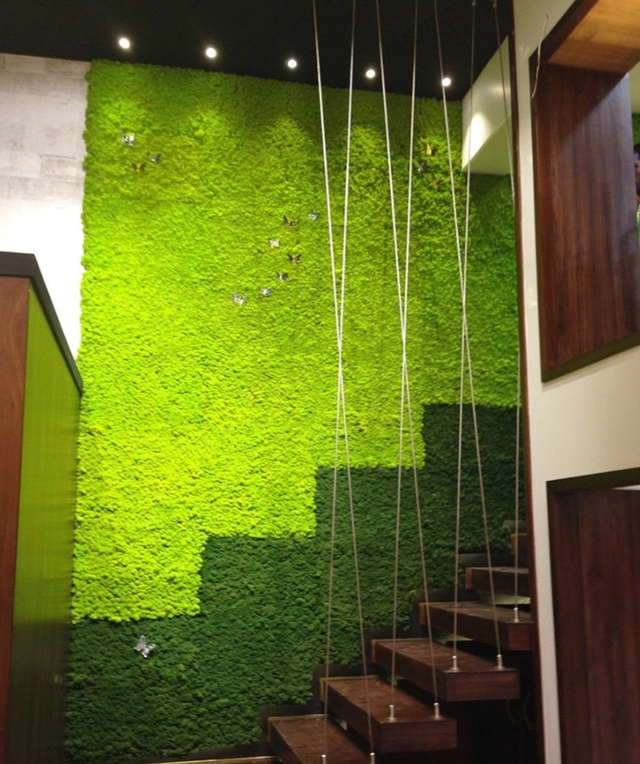 But for those like me, a dream home means having a wall of living moss. I say this in the most literal sense. 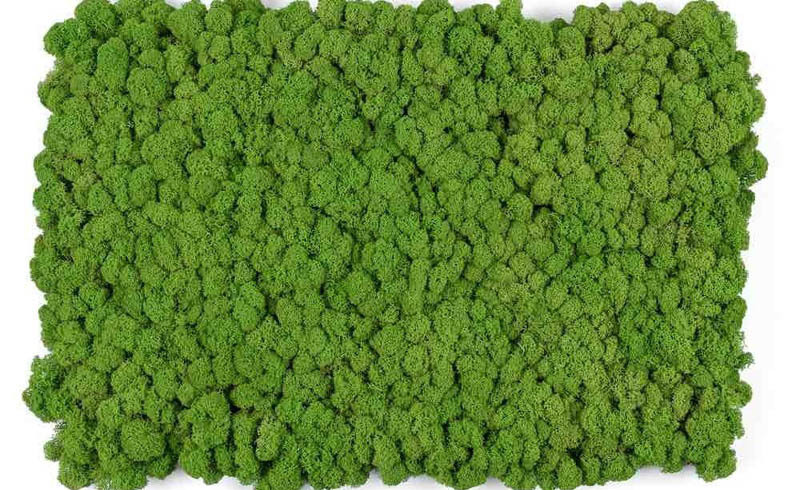 In fact, Mineral Tiles sells easy-to-install Living Wall Moss Tiles in various colors—green, of course, but also pink, red, blue, yellow, and more. Each "tile" comes in about a 16 x 24" sheet, is flame-retardant, sound-absorbing, and maintenance-free. Yes, it sounds too good to be true, but it isn't! As long as the humidity in your home is around 40 percent, you really don't have to have a green thumb to keep your wall alive. But if it isn't? Simply spraying it with a fine water mist is all you'd have to do to maintain it. If you're thinking "OK, but this must be a nightmare to install," think again. According to one review by Candy L., "Not only are they visually stunning, they are also very simple and easy to install." With the fastener hook tape installation method, each tile can easily be positioned and re-positioned. The brand also promises they work well on curved walls. 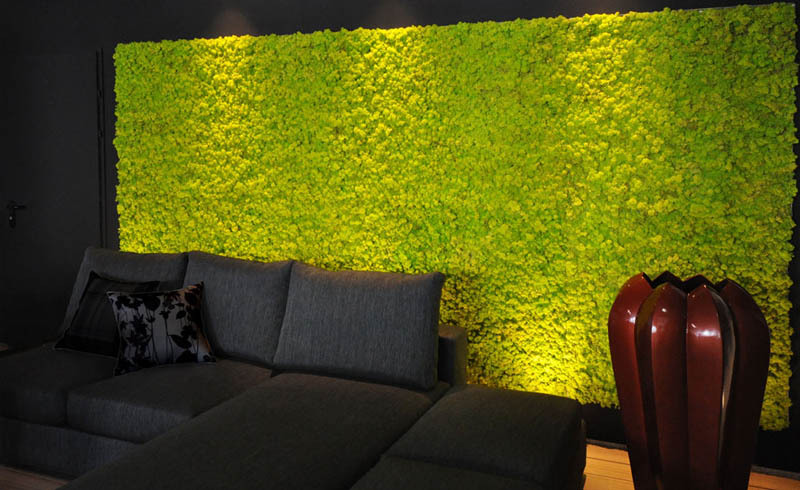 All I'm saying is, a living moss wall might be the very focal point your home is missing. Why not order a few samples and give it a go? It could be your next DIY project.